Hire on hourly, weekly or monthly basis. Get your project completed just on time. 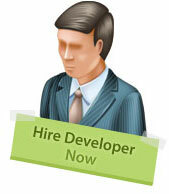 Opt for full time developer for hire at HWDI. This model has benefits like - strict working hours, staying in contact with your hired team, provision of daily reporting etc. Our dedicated developers for hire work towards completing your project within the stipulated time-frame. Hire our developers on a part time basis. Although they work for an reduced number of hours, they are fully committed to the development of your project. At no hidden costs, they deliver high quality services for your business. Get regular updates from them on a daily basis. For those who want superior quality project development at an economical package, our hourly hiring model works best for them. Avail maximum ROI through our highly specialized team members working exclusively on your project for fixed number of hours each day. The process of hiring our developers is crystal clear. Being client centric, we focus on making our methodologies simple for them. As a part of the hiring procedure, our clients inquire, evaluate, select, pay and manage their hired resources just like their on-site projects. Get full authority over the manpower selected and hired by you. We offer only basic supervision while you handle them just like your own staff. As mentioned above, you can stay in constant touch with your hired developers to get an insight on your project at each step. How can I be assured of the best developer and prompt services?